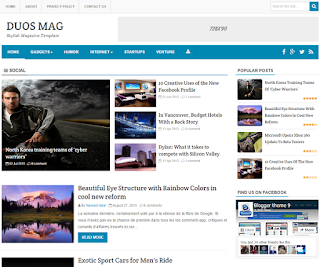 Duos Mag is an ads ready blogger template where you can place ad beside related article widget. 4 featured posts injected in footer area. Whatsapp share button will automatically appear when navigating site from mobile devices. Only script added to make all featured post appear, which makes the blog to load super fast.